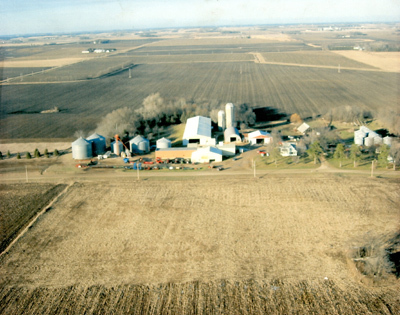 The operation includes full scale corn and soybean farming with year round soybean processing, wholesaling and retailing for seed and food use. Not all markets and producers have accepted GMO products so we will continue to offer conventionally produced non GMO seeds as well as the best combinations of trait packages and herbicide tolerance from Gold Country Seed. We are happy to accomodate either option. Conventional soybean varieties we sell for planting are often used for tofu and sprout production. We have grown soybeans for human consumption for many years and have developed excellent relationships with customers all over the country. All of our food grade soybeans have been laboratory tested to verify a minimum of 99.50% non GMO content. With today's high value commodities, producers are looking for ways to maximize yield from their acres. Many are convinced of the benefits of planting treated soybeans to help ensure better stands of healthier plants. We are able to treat your soybeans with fungicides, insecticides and inoculant to help get your crop off to a good start. We currently use the Acceleron brand of fungicide and insecticide with Optimize as our choice of inoculant. Call for pricing and details. 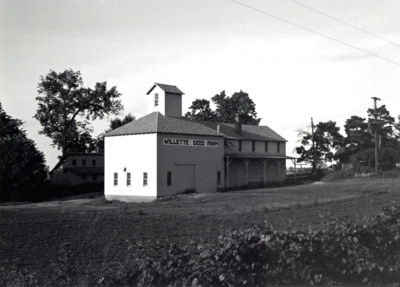 Don Willette started our seed production business at this location in 1933, we carry on that tradition today. We work hard to attain his goal of a product we can be proud of and you can depend on. To ensure quality seed the Minnesota Crop Improvement Association inspects the production fields and our cleaning facilities every year. The seed from those fields is tested and analyzed by independent laboratories to make sure they meet our standards and your expectations. Please contact us for current pricing and delivery options. We can accept orders placed by phone, fax or Email. Thank you for your interest in our company.